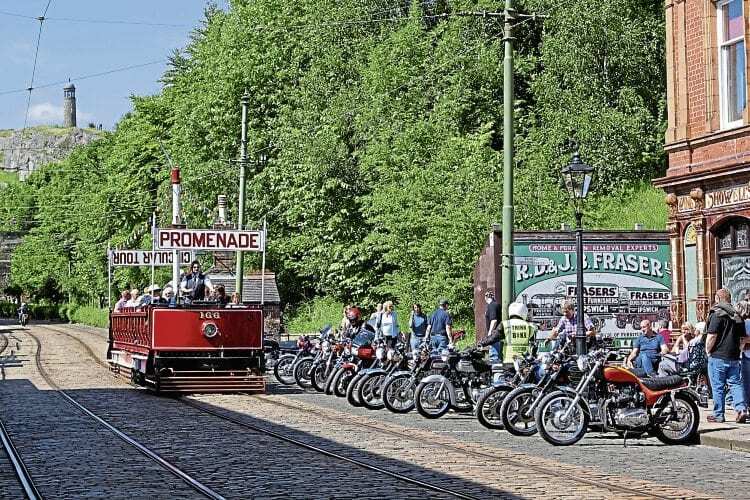 The increasingly popular Classic Motorcycle Day at the National Tramway Museum, Crich, near Matlock in Derbyshire, will return this season on Sunday, July 7. The National Tramway Museum, set in the heart of Derbyshire, is a charitable organisation with a large number of volunteers, whose motivation is to preserve the history of the tram. The Vincent HRD Owners’ Club has a passion for classic motorcycles and the combination of the two groups of transport enthusiasts makes for a classic day out. Last year, more than 400 classic motorcycles and more than 1600 visitors attended the Classic Motorcycle Day, and this year it is likely to be even more popular. It’s free entry for all classic motorcycle exhibitors thanks to local skip and grab hire firm Derwent Waste Management, which has yet again sponsored the event. Previous Post:Brough breaks world record!